Background and Objective: Today, resistance to multiple classes of antibiotics, and notably to the β-lactam and aminoglycosides in A. baumannii is becoming a great problem and it necessitates to make a new approach to combat with multidrug-resistant (MDR), extensive drug-resistance (XDR) or Pandrug-resistant (PDR) isolates. In this case, a new strategy and ways should be designed and introduced against such infections. 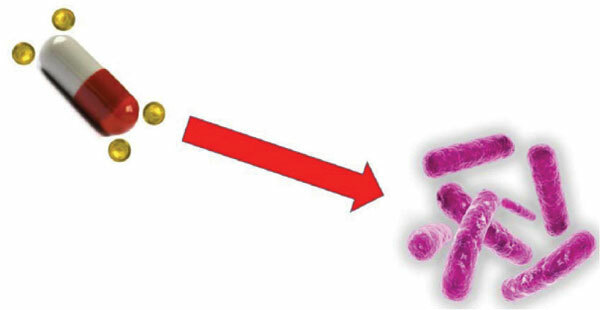 Therefore the aim of the present study was the evaluation of antibacterial activity of nanoconjugate gentamicin and amikacin with gold against clinical isolates of A. baumannii that were collected from burn wound infection. There are some patents of gold nanoparticles that are conjugated with antibiotics (WO2017161296A1, US20090181101A1). Methods: Eighteen A. baumannii were collected from burn wound infections. For confirmation and detection of aminoglycoside-resistant genes, PCR was carried out. Gold nanoparticles and nanoconjugates were prepared according to the protocol. For the evaluation of the nanoconjugate, Dynamic light cattering, Transmission electron microscopy and FTIR Analysis were carried out. Then, the antibacterial activity of nanoconjugates was conducted by using micro broth dilution method. Result: Prevalence of aminoglycoside-resistant genes was aacC1, aphA6, aadA1, aadB genes 55.5%, 22.2%, 38.8% and 22.2% respectively. Synthesis of bare nanoconjugates resulted in nanoparticle in a size of 10 nm. Amikacin bound to Gnps showed excellent antibacterial activity (94.5%) and just one isolate showed intermediate resistance. Also, gentamicin bound to Gnps had a good antimicrobial effect (50%) in contrast to gentamicin alone. Conclusion: Our study showed that a combination of amikacin and gentamicin with Gnps has a significant antibacterial efficiency against clinical isolates of A. baumannii. Gnps can be used as extraordinary molecular carriers for targeting, and delivery of the antibiotic molecules to the specific infection. A. baumannii, aminoglycoside, amikacin, gentamicin, nanoconjugates, antibiotics resistance.